Massachusetts is now home to TWO (2) 2018 USA Hockey National Championship teams! The Girls 14U Tier II North Shore Vipers and the Girls 19U Tier II East Coast Wizards! There were a total of four (4) teams from Massachusetts who made the Championship games. Seven (7) teams who made the semi-final games. And a total of 26 teams who were participating in Nationals. Click here to see which teams were participating and links to see how they faired in Nationals. We are #MassProud of ALL of our Girls and Youth teams who qualified and participated in the 2018 USA Hockey Nationals this past weekend. The Girls 14U Tier II North Shore Vipers won 4-2 against the East Coast Wizards in the Championship game. 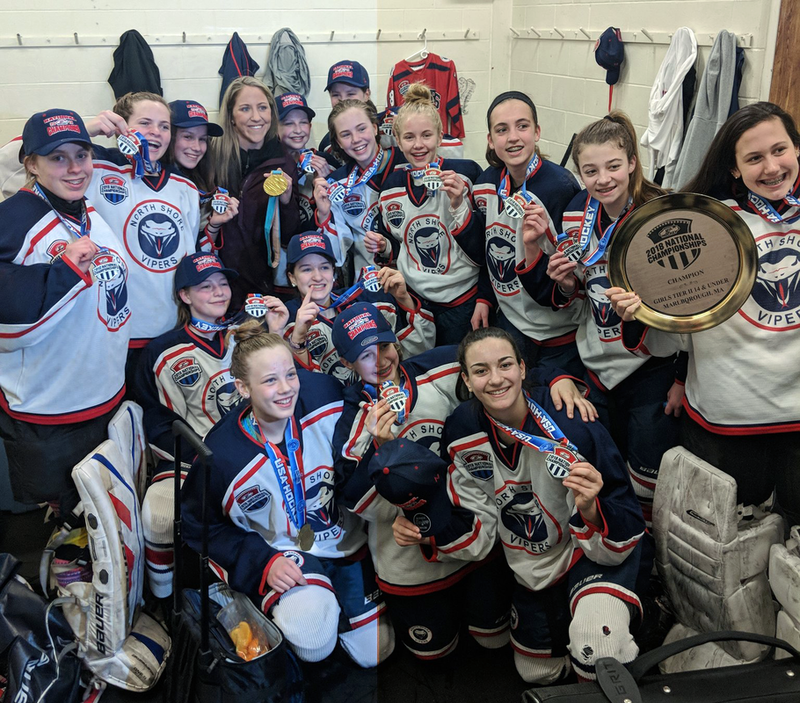 Click here to be directed to USA Hockey's recap of the Girls 14U Tier II USA Hockey National Championship Game. The Girls 19U Tier II East Coast Wizards won 3-1 against the defending 2017 USA Hockey National Champions San Jose Sharks. 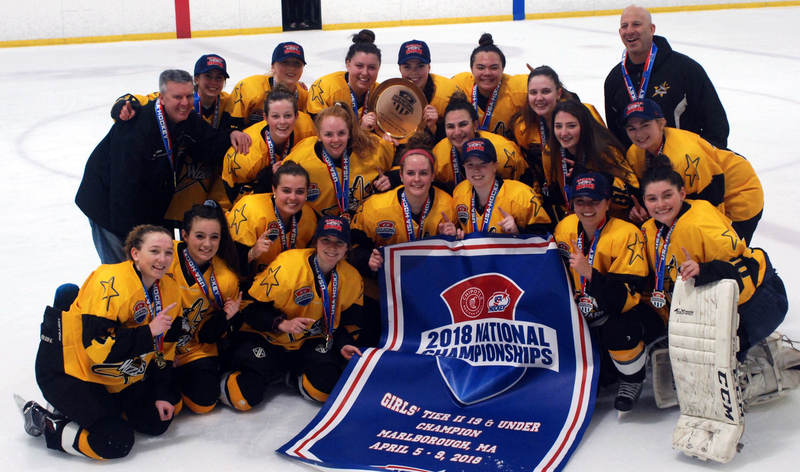 Click here to be directed to USA Hockey's recap of the Girls 19U Tier II USA Hockey National Championship Game.